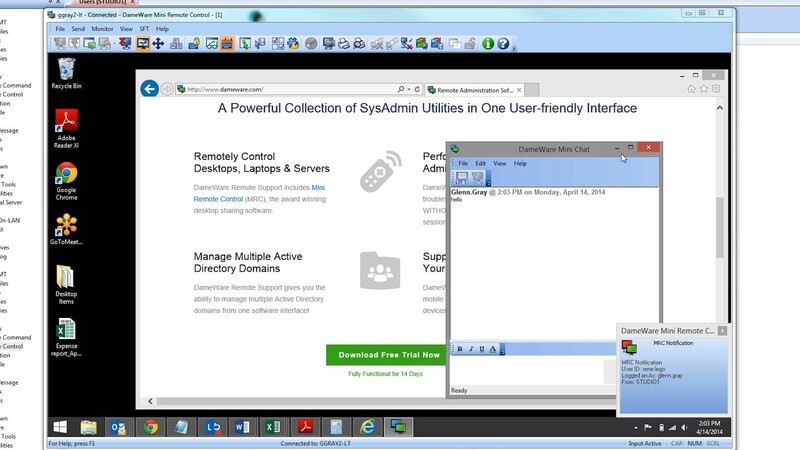 Enable real-time communication with end-users without a separate program. Document issues with one-click screenshots of the remote desktop. Instantly transfer files between computers to fix problems. Lock end-user keyboard and mouse to avoid unexpected errors. Easily distinguish between end-user and admin screen activity. Quickly begin ruling out some of the most common IT problems. Documenting issues with screenshots is an important part of the support process, but they can be tedious if there is not an efficient way to capture and manage them. Take screenshots in Dameware MRC with just one click from the dashboard and save them directly to the desktop. Use MRC to directly access the remote computer to copy or delete files, manage folders, and add or delete network shares. See all information about the remote computer’s drives and reformat them right from the MRC console. Avoid errors by locking end-user keyboard and mouse functions during remote support sessions to help eliminate unwanted or unintended activity. With the freeze function enabled, only the admin can make changes. Avoid confusion and distinguish actions during remote support sessions with MRC’s dynamic cursor tool. Highlight the cursor so both the technician and end-user can see where it is at all times. When active in an admin window, the traditional arrow cursor is displayed. When active in the end-user’s window, the cursor displays as an easily distinguishable dot. With the click of a button, pass the Ctrl-Alt-Delete keyboard combination through to the end-user’s workstation to switch to a different user, launch Task Manager to terminate an application task, or reboot an operating system. That way, you can quickly gain control of an end-user’s workstation, troubleshoot some of the most common IT issues, and get out.